A speech believed to have been made and recorded by Tahir Yuldashev, leader of the Islamic Movement of Uzbekistan, was delivered to e-mail addresses of BBC, RL, VOA broadcasters and Ferghana.Ru news agency. Number One Terrorist in Central Asia made the speech on the fifth anniversary of the terrorist act in New York on September 11, 2001. "We appeal to all Moslems... in the light of the event that dramatically changed world politics five years ago, on September 11, 2001. A strike at America, the fortress that had considered itself impregnable, changed politics throughout the world... Bush launched a war on Afghanistan," Yuldashev said. 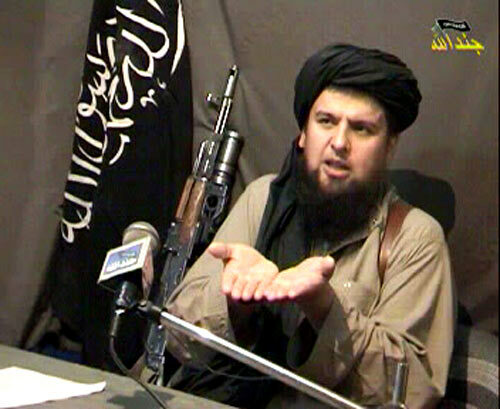 According to Yuldashev, activists of the Islamic Movement of Uzbekistan who had found shelter in Afghanistan fought forces of the coalition side by side with the Taliban and Al-Qaeda. Field commander Juma Namangani and some other activists perished in the American offensive. Yuldashev maintains that the Islamic Movement of Uzbekistan has not given up and would not give up. "The mujahedin haven't forgotten the Moslems executed in Andijan last year. We will avenge Moslems in Central Asia or in Russia. We insist that all regimes in the region put an end to the practice persecution of Moslems, the practice of harassment and terror... Karimov, Rakhmonov, and Bakiyev had better remember... that they will be punished for the crimes they are committing," Yuldashev announced. Pakistani secret services maintain that the leader of the Islamic Movement of Uzbekistan is hiding in the so called Tribal Zone in the mountains between Afghanistan and Pakistan. There is no saying when the speech was recorded.